Conventional pruning recommends that you remove competing leaders if you're training the fruit tree to a central leader. 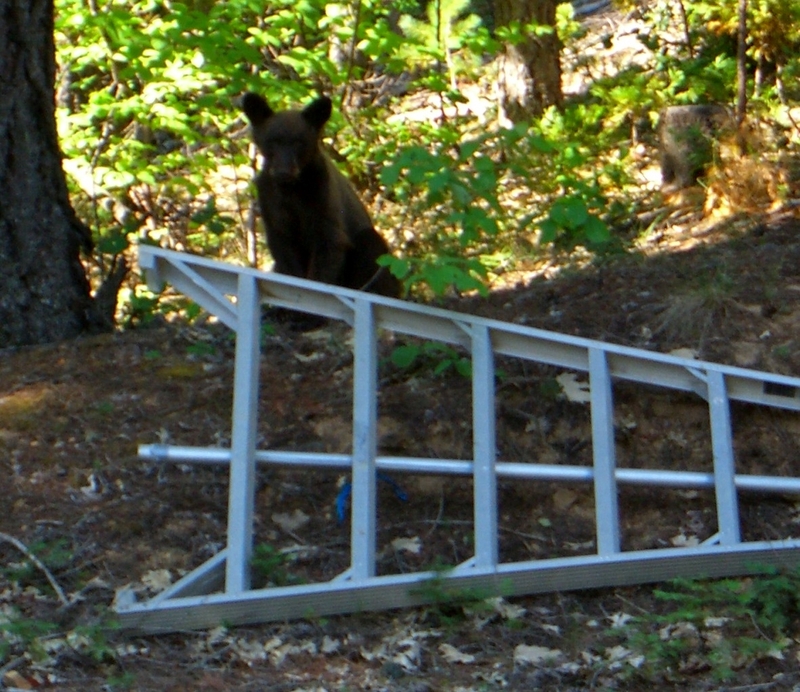 I tend to leave small competing leaders in case I need a "back-up" due to breakage from a bear or snow. I remove larger competing leaders before they truly compete with the central leader. Where the bears or snow have removed my central leader, I've tried to re-train the fruit tree into a open center. I find that the open centers are subject to breakage from heavy snows. It is important to have strong branch attachment. Remove branches with narrow angles (likely to suffer from bark inclusion) in favor of scaffold branches with a 10 or 2 o'clock angle. Be vigilant about removing watersprouts. They grow vertically, don't produce fruit and add unneeded weight to a branch if left to grow large. Lastly, consider apple and pear trees on standard rootstocks. These trees grow tall and strong, so they can better withstand depradation by bears and heavy snow. You can train the tree to have a higher fruiting canopy to reduce deer browse. On the negative side, the fruit is waaaayyyy up there, so you'll need a large ladder. They may take longer to come into production and do not have the bred-in disease resistance of modern semi-dwarf rootstocks. Or then again, we can just learn to share with our hungry neighbors.